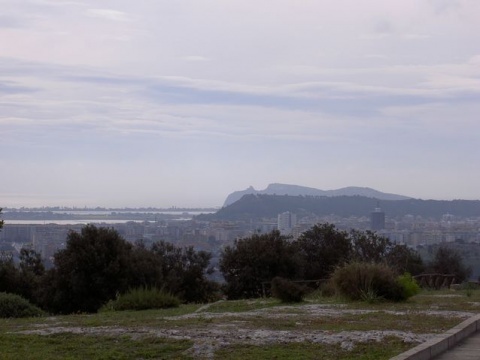 The hill of San Michele is one of the highest ekevation in Cagliari (120 meters above the sea level), whose oldest attendance is testified by some ceramic fragments that offer an extended chronology, from the III century B.C to the IV Century A.D. Taking advantage of the shape of the hill, with its almost inaccessible walls and its levelled summit, the Carthusian monks, during the Judicial period, built a convent dedicated to the Archangel Michael. At the end of the 13th century A.D the Pisans dismantled the Convent and erected a fortified structure to control potential attacks. In 1326 the castle was sold to Berengario Carroz, who use it as his home, embellishing it, and turning it into a safe and comfortable house. The last member of the Carroz family, who lived in St. Michael, was the Countess Violante, who died in 1511; later the castle was incorporated among the assets of the Spanish Crown. During the plague in 1652, it was used as a leper hospital, and, on the occasion of the French attacks, during the seventeenth and eighteenth century, it was fortified again. Moreover, in the early Nineteenth, it was used as a barracks, then deleted from the list of fortifications in 1867, to be sold to the Marquises of St. Thomas, who restore it and reforest it, by planting some pines, to make the area more welcoming. In the Twentieth century, it was occupied from the Navy and then remove to the State, up to pass to it and to the City, who in the mid-Eighties, patronized a F.I.O (Investment Fund for Employment) intervention. Today the castle retains the curtain wall, surrounded by the moat, and three towers, but it was subjected to a deep transformation with polycarbonate and steel structures, which have entirely occupied the inside of the building.